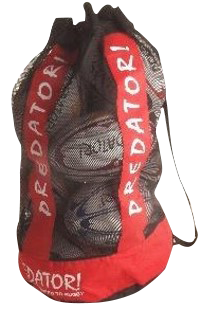 Bulk Rugby Balls, Rugby Ball Manufacturers & Suppliers UK | PREDATOR! Get 10 Match Quality Ruby Balls for less! A mixed mesh bag of 10 Predator! Match quality Rugby balls to kick off your New Year training Drills. 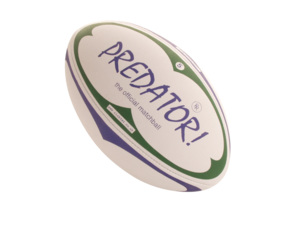 • "Off The Boot" Feel & Aerodynamics: Quality control at all stages of manufacture ensures these rugby balls have superb balance and optimum in-flight characteristics! 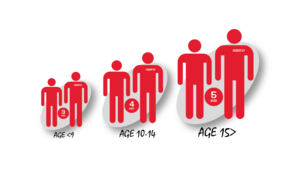 • Shape Retention: multi-laminate, biased ply, polyester/cotton panels for maximum shape retention (guaranteed 3 years). • Seams: Close-spaced, hand stitched seams (6 stitches per inch) for smoother, wrinkle-free match quality rugby ball. • Maintenance: Premium grade butyl bladder and heavy duty valve make for excellent air retention. • Realistically priced, unlike many inferior rugby balls. • Independent tests have shown Predator! match quality rugby balls to be one of the finest available. Price displayed is for 10 mixed colour, Match quality balls and bag, excluding delivery.